Liczba stron: 31 Jest to ujednolicona liczba stron, która ułatwi Ci porównanie długości książek. Każda strona Legimi to 200 słów. An agile technical guide, easy to read, to share as much as possible in all workplaces to raise awareness of a widespread phenomenon across a true story. The protagonist of this story, in order to protect themselves from a "Sheriff" manager, managed to get a written act of intervention by the Minister. 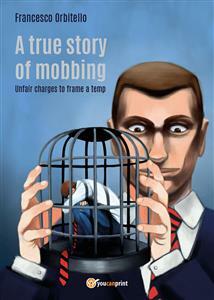 The aim of this book/exposé, which is based on a true story, is to sensitise institutions to the fact that in Italy there is still no law to protect workers against mobbing. What kind of protection does the law provide to workers who are victims of mobbing? - Art. 41, prohibiting the conduct of private economic activity if exercised in contrast to social utility or if detrimental to an individual’s safety, liberty and human dignity. - Art. 700 of the Code of Civil Procedure, which guarantees protection as a precautionary measure in case of behaviour that is prejudicial or discriminatory and as such puts the worker in serious jeopardy. - Art. 590, which punishes anyone who causes bodily injury to another person (including offences that have a criminal intent). The provision, however, establishes that Courts have to assess in practice whether the impairment of the worker’s mental and physical health is due to negligent or malicious conduct by the employer.